St. Vincent, Slow Slow Disco. 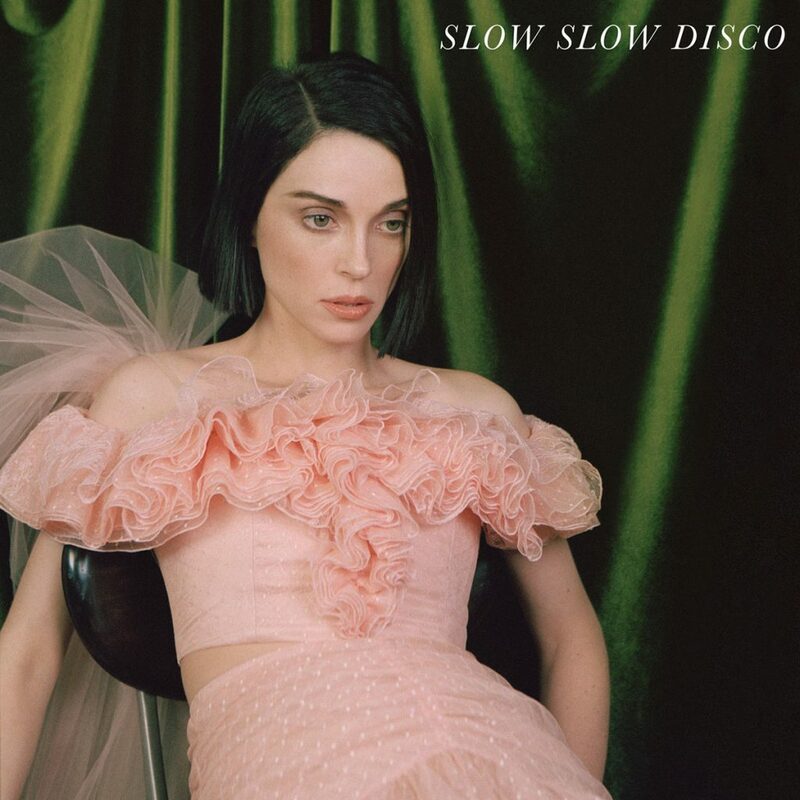 Slow Disco was, and was quite incontrovertibly, a skyscraping peak amidst the frequently lofty contours of St. Vincent’s shapeshifting MASSEDUCTION of yesteryear; the euphoric Fast Slow Disco redux one of few great, big bangers to have been hoofed out into the www. this. And now, far more analogous to the former than the latter, Slow Slow Disco provides those unfortunate enough not to have made it to Annie Clark’s uncharacteristically candid showing at London’s Cadogan Hall earlier on in the month an insight into quite how incredible that most intimate of performances was. That, and this song’s continuing transmogrification (‘Songs are living things. They grow, they evolve, they change their moods and personalities over time’, she says) only serves to evidence the singularity of Clark as an ‘artist’ in the truest sense of the term; one who, along with the likes of David Byrne, Janelle Monáe and Kanye West, continues to define the modern-day by redefining herself and her work. MASSEDUCTION is available now via Loma Vista Recordings.